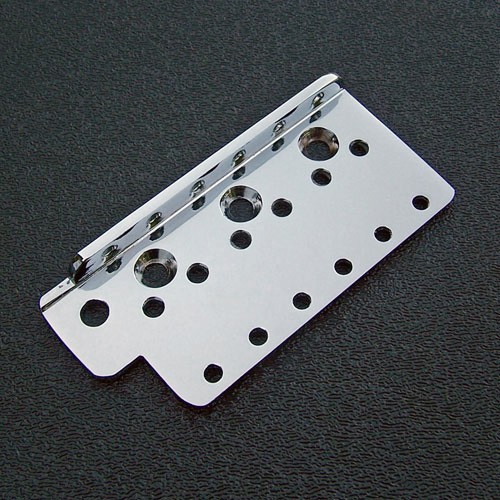 Genuine Fender® American Vintage Stratocaster® Chrome Bridge Top Plate. Mounting spacing 2-7/32" center to center of two outer-most mounting screws, string spacing 2-7/32". This is what is considered "true vintage" spec.